It has been an adventure of trusting myself. From the beginning, I have been taking risks and seeing what time brings. Since I quit my job back in February things have been falling into place. Once I quit my job, I started looking for other options. I had plenty of job offers from babysitting to teaching pre-kindergarten. Nothing seemed like the right fit. Since coming to Costa Rica last year I knew I was bound to go back and work there. 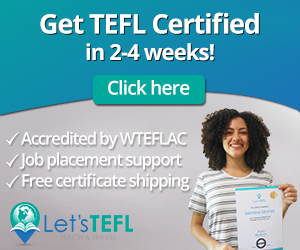 Something told me to look into getting my TEFL certification. I looked at the prices and the options. After talking with my fiancé, I decided to make it happen. I gave myself 45 days to get ready for the next step in trusting myself. I made the decision to go and nothing was stopping me except my passport. So, I sent my passport in for a name change back to my maiden name. Since it was a month away I wasn’t going to work because why work for such a short time. The next day an old employer sent me a text asking how my job search was going. I told her I was moving to Costa Rica and stopped looking for jobs. She asked me if I could work for them again until I left. Since they were moving in a few months it was perfect for them. It was a blessing to work for them for the short time before I left. Everything was falling into place. I got my passport back two weeks later and applied to the course. I wanted to stay in Costa Rica for 6 months when I first decided to go. It has since changed to an undetermined time. I fell in love with Monteverde last year when we came, so I looked up schools I could work for. I found the Friends School to be the only one that I am qualified for in the area. After doing research I fell in love with the school. I wasn’t going to apply because it is a two year commitment. After going within myself, I realized I can’t sell myself short. I need to try. This school became my number one school for employment. During the tefl course I was able to see some other schools and received a job offer from a school in Liberia. I drove to Liberia Costa Rica to see if I liked the place. I do like Liberia. I just didn’t find the school to be the right fit for me. I contacted the Friends School and they told me that there was a possible position depending on the teacher. I told them I would come by after my course ended. I sent them an email a week after speaking with them to thank them for their time and the dates I would be coming. I never looked at other schools because I really want this one. I passed my course and now I am in Monteverde. I went by the school to get a tour and reiterate how much I would love to work there. The teacher who I would replace has some medical issues the directors are worried about. She left school early today while we were there for medical reasons. They offered the schools apartment for us to use while we are in town. I am staying in town until Thursday at the earliest. They directors told us to come to their end of the school year meetings Wednesday morning and hopefully we can speak after about the position. If he gets busy we will speak on Thursday. This is a true test of listening to myself. I fell that his place is where I am supposed to be. I feel at home here for so many reasons. It a small quiet town. It has lots of hiking trails for exercise. It’s in the mountain so the temperature is perfect. The school is a Quaker school with great ties to the community. They do a lot of volunteering in the neighborhood which is fantastic. It is perfect for my growth and where I am headed. I will be patient and trust that things will fall into place the way they are supposed to. 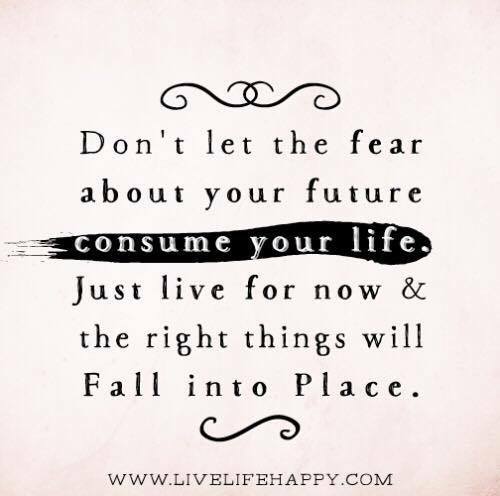 I will live for the now and the right things will fall into place.